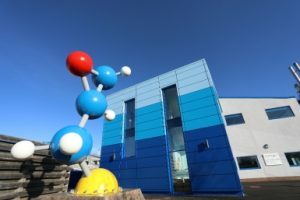 A trailblazing lab complex which can test new products in conditions that mimic the world’s most extreme environments has been officially opened by AkzoNobel in the UK. A creative nerve center for the foremost scientists and technical experts in the world of coatings, the focus will be on continuing to deliver cutting-edge innovations and products for the marine and oil and gas industries. It brings the total investment in the Felling site since 2011 to €31.6 million. Commenting on the new campus, International Trade Secretary Dr Liam Fox MP says: “Driving investment into all parts of the UK is one of my international economic department’s most important tasks. In recent weeks, we have seen the UK’s top international investors reaffirm their commitment to our economy. We have bucked the global trend with foreign direct investment into the UK growing by 20%, while declining by 40% in developed economies as a whole.